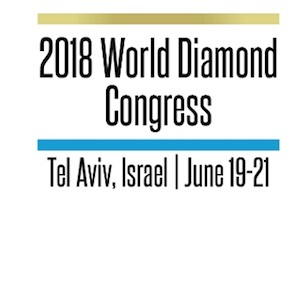 With the Middle East teetering on the brink of all-out war, this year’s World Diamond Congress, originally scheduled to take place in Tel Aviv, Israel, in June, has been indefinitely postponed. The World Diamond Congress is the biennial gathering of the two major groups that represent the middle of the diamond industry pipeline: the World Federation of Diamond Bourses (WFDB) and the International Diamond Manufacturers Association (IDMA). 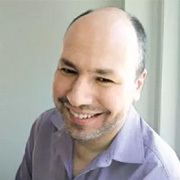 The groups decided to put the conference, originally scheduled to take place from June 19 to 21 at the Israel Diamond Exchange, on hold “as a result of the weak response…no doubt also influenced by the rising tension in the region,” a statement said. In a joint statement, WFDB president Ernie Blom and IDMA president Ronnie VanderLinden said: “It is obviously with very great regret that we have reached the decision to cancel the Congress. We had a full agenda of issues regarding the state of the global diamond industry, and preparations were in full swing. This is not the first time the event has had to respond to security concerns. In 2002, the World Diamond Congress was also scheduled to take place in Israel, but also had to be postponed because of security concerns. It eventually took place in London. This morning, Israel bombed military facilities in Syria believed to be linked to Iran, following overnight missile attacks against Israeli targets in the Golan Heights that were fired from Syria. The attacks, blamed on Iran, followed President Donald Trump’s decision to exit a U.S.-brokered deal designed to limit Iran’s capability to develop a nuclear weapons program.